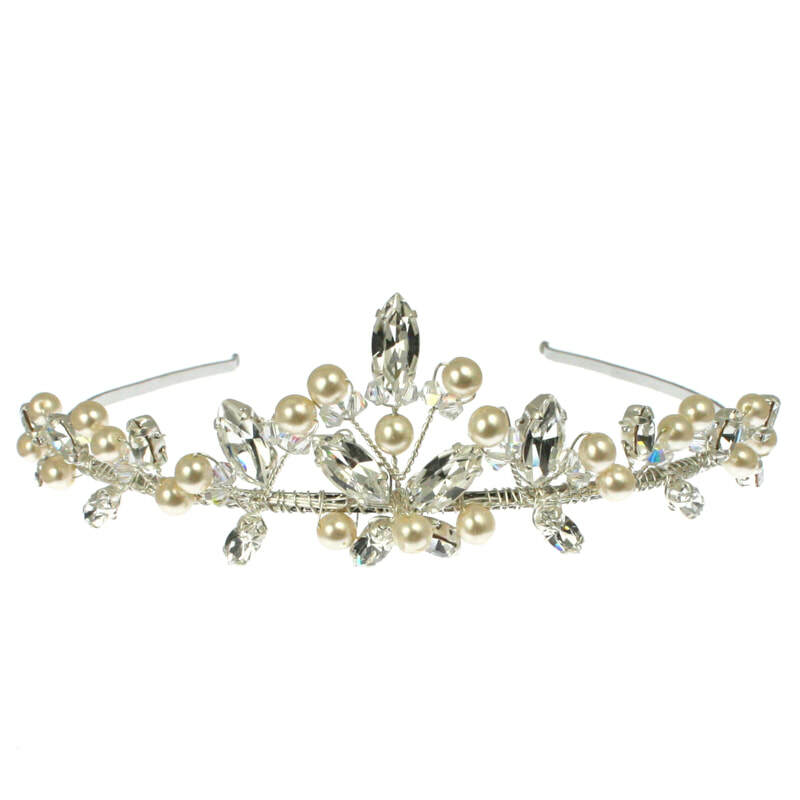 Low traditionally shaped bridal tiara with marquisse set diamantes, pearls and crystals on hand wired stems. 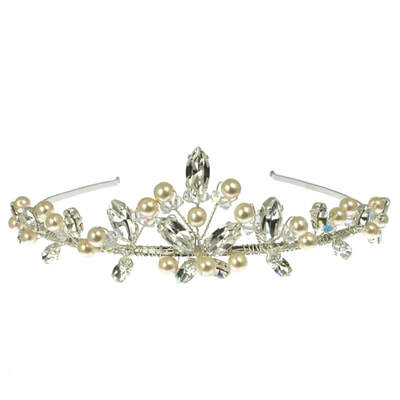 This style is also available without pearl upon request. 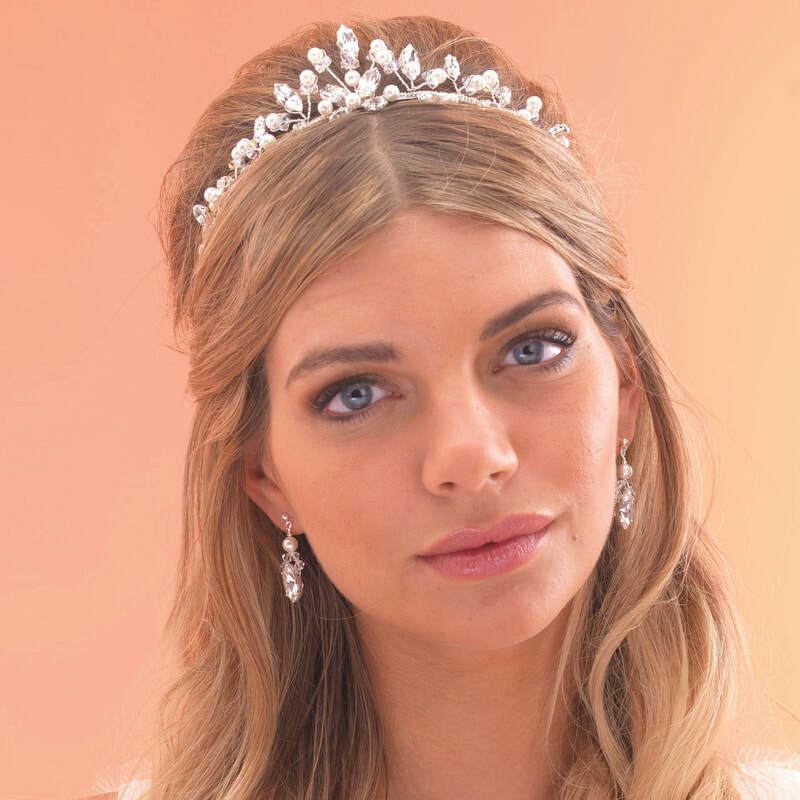 ​Model wears AR443 Bridal Tiara in Silver with Ivory Pearls & Clear Crystals. Shown with ARE001 drop earrings.